ITA will pull up fares of $846 but Priceline will pull up fares of $853 as it charges a $7 service fee for multi-carrier itineraries. This fee is non-refundable should you cancel within the risk free cancellation period. Valid for travel from late-January, 2017 – late-April, 2017 and from late-August, 2017 – late-October, 2017 for Monday through Thursday departures and returns. Must purchase at least 14 days in advance of departure. 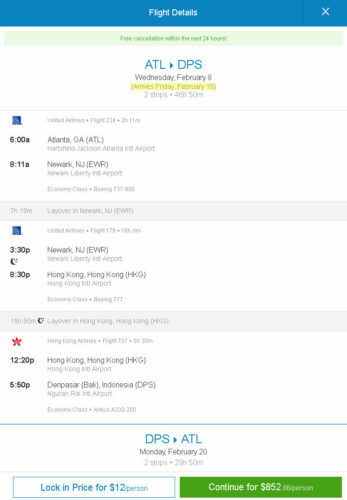 Routing may require an overnight layover in Hong Kong on the outbound segment. 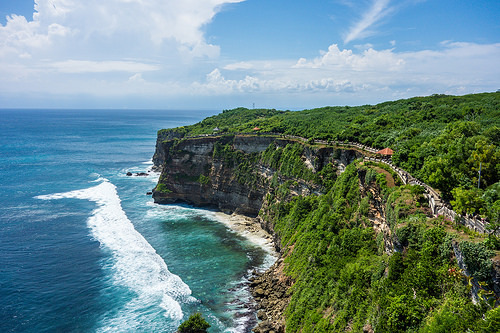 Segments between Hong Kong and Bali will be operated by Hong Kong Airlines and are non-mileage earning with United. Mileage earning with United is below.